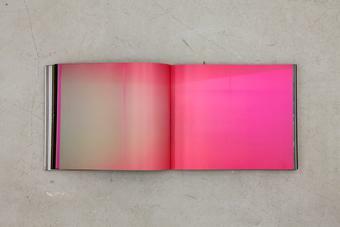 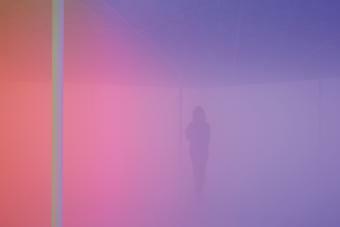 Your atmospheric colour atlas comprises condensed banks of artificially produced fog in a gallery. 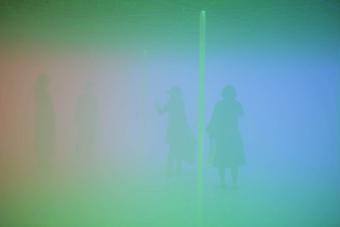 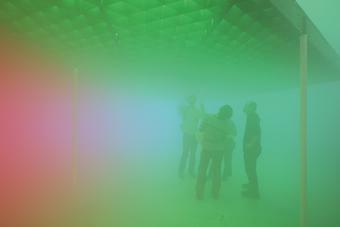 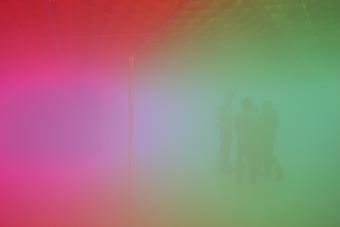 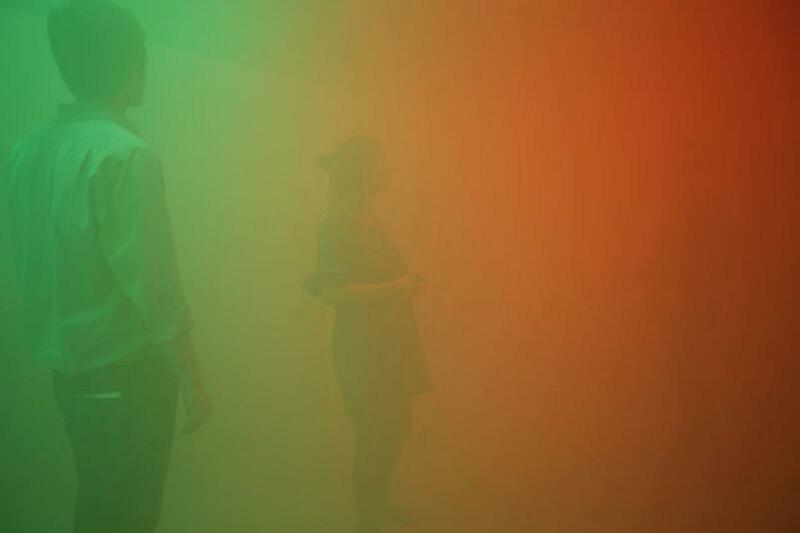 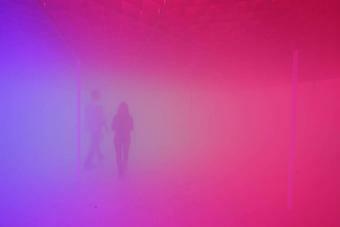 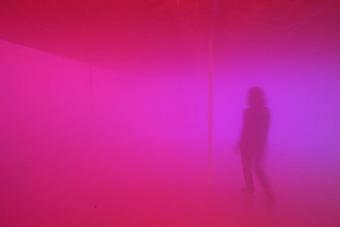  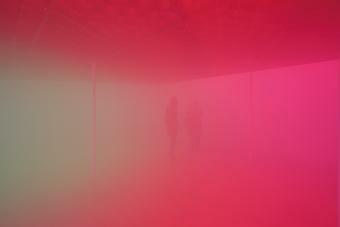 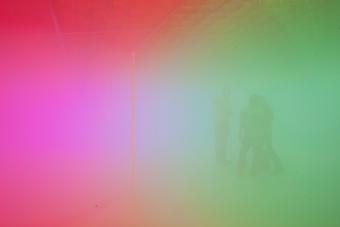 The fog is infused with the additive colours red, green and blue, emitted from hundreds of fluorescent lights that are installed in the ceiling as a colour grid, thus indirectly introducing a scale of measurement of the space. 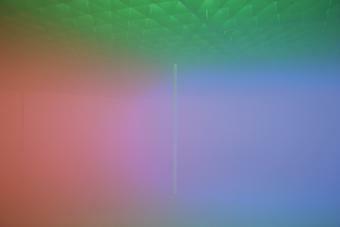 At each colour boundary, two hues blend to create transitional slivers of cyan, magenta, or yellow, adding up to a zone of pure, white light in the middle where all the colours meet. 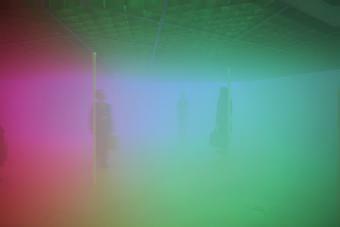 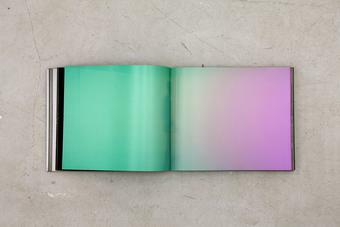 Walking through the dense, illuminated atmosphere, visitors navigate the space by using this intuitive colour atlas.